More than 26,000 property tax demands have been returned because the addressee is “not known at this address”. 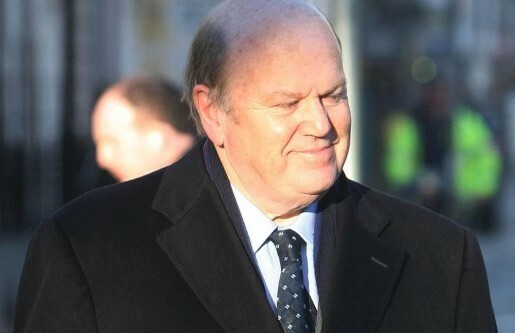 Finance Minister Michael Noonan said a number of factors were involved in the mis-mail which saw so many local property tax (LPT) demands returned unopened. “I am advised that there are approximately 26,000 such letters, of which some 9,000 have already been reissued, and work on the others is ongoing. Several properties have the same non-unique address, which is not unusual in rural areas,” he said. “A further complication in this category is cases where the owners’ first names and surnames are the same. Or a property was not reflected in any of the original data sources that Revenue used to establish the LPT register. However, he insisted the property owners Revenue failed to contact still had to pay the LPT. “LPT is a self-assessed tax and, in common with other self-assessed taxes, certain responsibilities rest with the taxpayer… liable persons, who have not yet received a return from Revenue, must still self-assess the amount of LPT due, complete, and file their LPT return and pay the tax due,” he said in a parliamentary reply to Fianna Fáil TD Seán Fleming. Mr Noonan said 1.66m residential properties had now been contacted by the Revenue. He said a key aspect of the LPT was to establish a national property register.